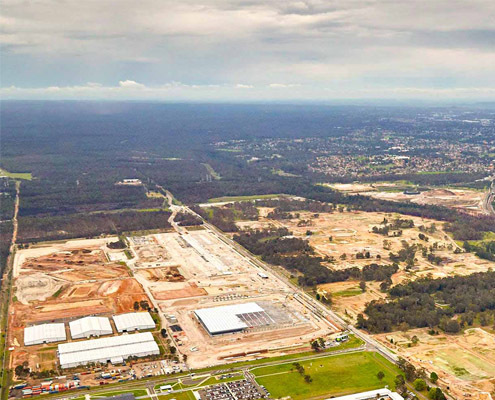 The IMEX Early Works Demolition and Remediation project (IMEX-EW) was undertaken in Moorebank, NSW, and formed part of the preliminary works associated with the construction of the Moorebank Intermodal Terminal – a state significant infrastructure project. 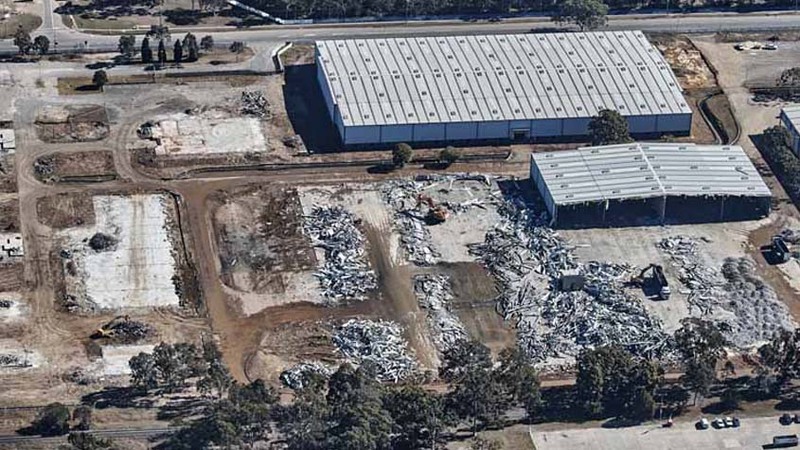 The demolition and remediation phase of the project took place from July through to December 2017 and involved the demolition of 24 warehouses, clearing of vegetation over approximately 32 hectares and the remediation and off-site disposal of contaminated material. 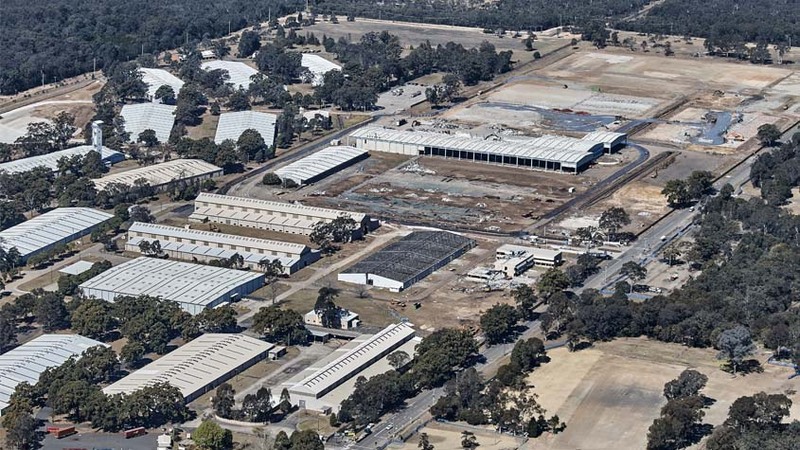 The IMEX-EW project took place at the former Defence National Storage and Distribution Centre (DNSDC) and involved the demolition of all above ground structures and clearing of land within the future IMEX terminal footprint. 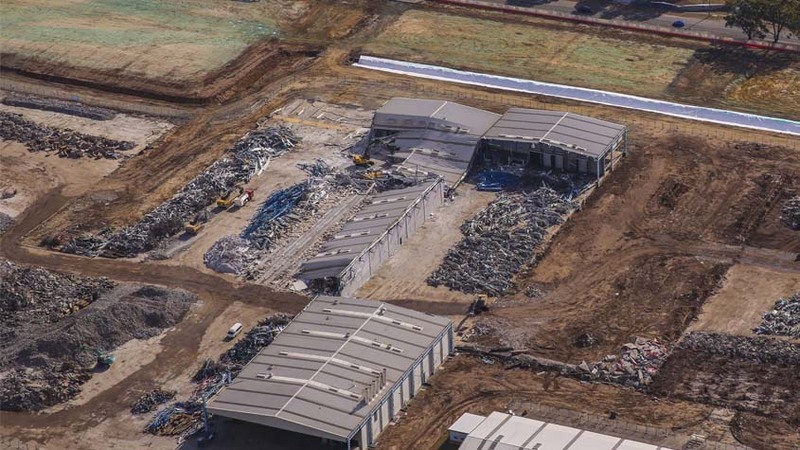 The demolition component of the project included a number of large warehouses, ranging from 5800 m2 to 24,000 m2 (total of 110,000 m2) and included an extensive hazardous material removal process. 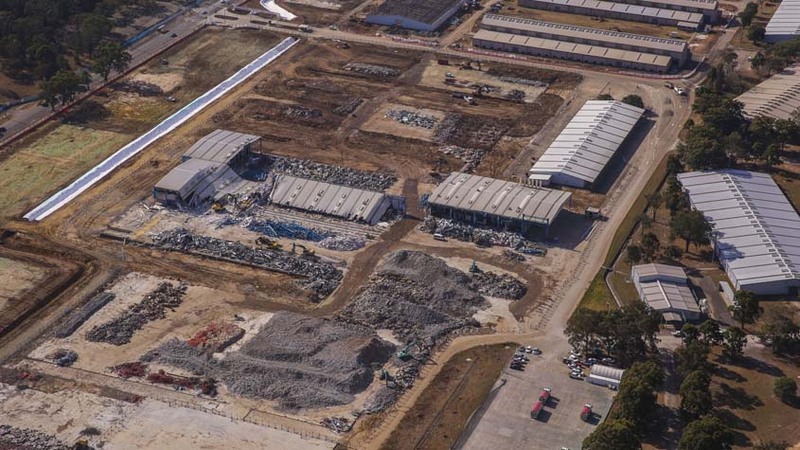 All slabs were demolished and pulverised to remove reinforcement in readiness for crushing with the total completed stockpile exceeding 60,000 tonnes. There was also a significant decontamination component to the project following the identification of various above ground storage tanks which had not been previously decommissioned. As the demolition and remediation of the site was in preparation for the earthworks stage of the IMEX terminal construction, approximately 32 hectares of the site was required to be cleared of all vegetation. The clearing process involved the removal and on-site mulching of approximately 280 trees and the stripping of approximately 1,200 m3 of topsoil. The removal of trees on site was completed in accordance with the Construction Environmental Management Plan (CEMP) produced for the site and included the identification of 12 habitat bearing trees, erection of tree protection zones and the installation of nest boxes in the nearby bushland. The clearing works over such a vast area led to the challenging task of managing the resulting surface run-off and groundwater across the site. All water captured in the pre-existing stormwater channel was required to be captured and tested prior to off-site discharge. A sediment and erosion control plan, created by Liberty Industrial and receiving CPESC (Certified Professional in Erosion and Sediment Control) approval, was implemented with the aim of minimising the potential for sediment loss from the site and contamination of the nearby Georges River. 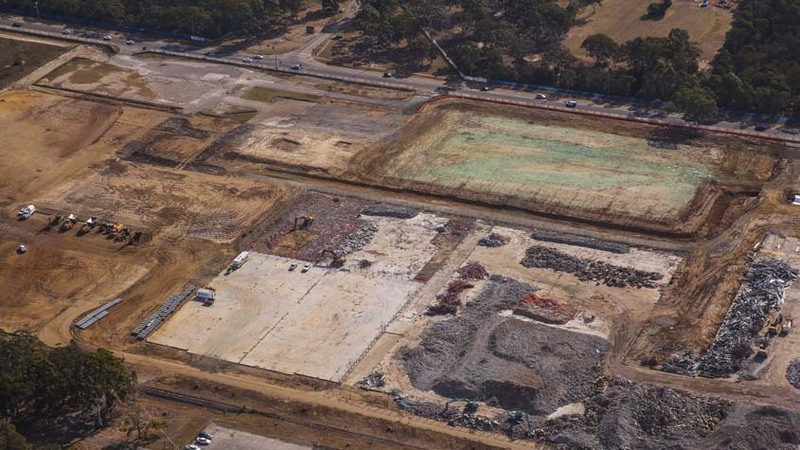 The measures implemented on-site included the excavation of a 2,440 m3 sediment basin which, when combined with the existing stormwater channel, provided an overall capacity of 4089 m3. Following rain events, the captured rainwater was either tested, treated and pumped off-site or used on-site for dust suppression. 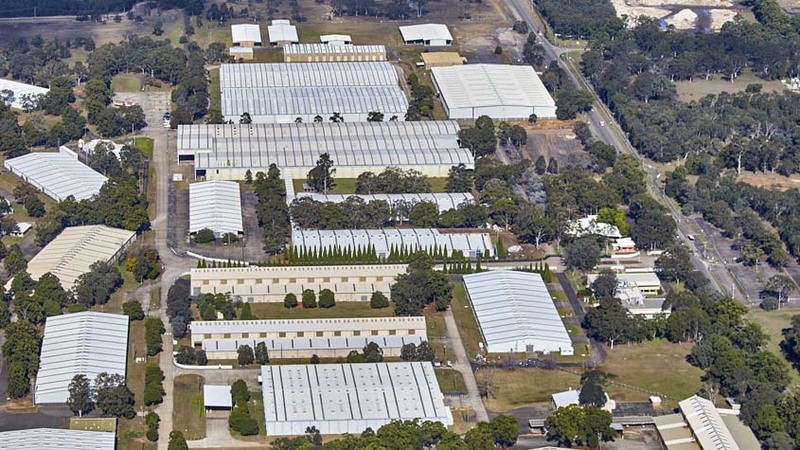 In order to provide early access to the following stage of the project, Liberty Industrial were given a direction to accelerate the program and hand the site back in 7 separate portions. The mobilisation of additional resources and the ability to work simultaneously on various work fronts ensured the revised handover dates were met, shortening the overall program by over 1 month. A significant amount of additional work was also completed during this time, including the removal of all stormwater infrastructure and contaminated soils throughout the IMEX Terminal footprint. During the removal of the stormwater pipework, a significant amount of asbestos contaminated soil was identified. 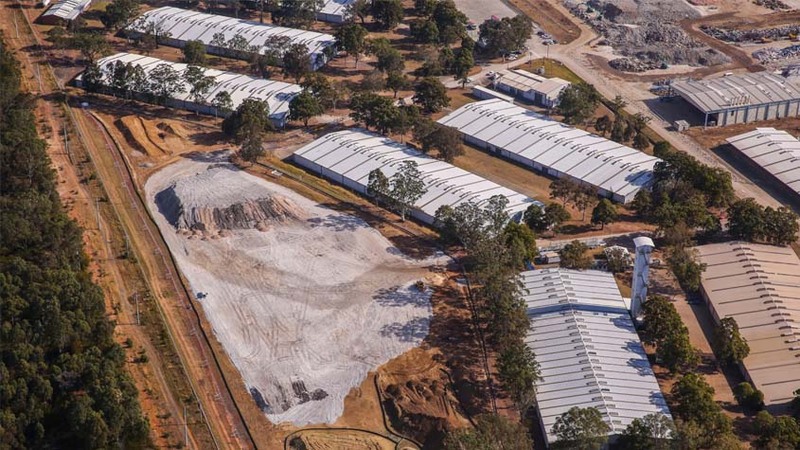 The identification of the contaminated material resulted in the establishment of a number of asbestos exclusion zones throughout the site and, under the supervision of the client’s hygienist, over 7,000t of asbestos contaminated soil was excavated and disposed off-site. Despite the significant amount of work involved, the identification of the contaminated material did not result in any impact on the overall delivery program. In preparation for the following construction and earthwork stages of the project, Liberty Industrial were asked to oversee the importation of sandstone fill material. The additional works involved the establishment of a stockpiling area, management of up to 150 truck deliveries per day and the stockpiling and environmental maintenance of the imported material. Throughout the 3 month period during which Liberty Industrial were responsible for the stockpile, approximately 145,000 m3 of material was imported to the site. In addition to managing the importation of the sandstone material to the stockpiling area, Liberty Industrial were engaged to construct a new access point to the site in order to facilitate access for construction vehicles and tenants following the demolition of the main access road. The establishment of the secondary access point involved the widening of internal roads, relocation of existing security services and the alteration of the existing entrance. Following the successful completion of the IMEX-EW package in December 2017, Liberty Industrial were instructed to commence preparation works for the next stage of the IMEX Terminal demolition and remediation works, with the project to commence in early 2018. This contract was one of three work packages undertaken by Liberty Industrial associated with the construction of the terminal. In their own right each work package comprises a large and diverse scope of work but when combined and executed concurrently these three work packages form an extensive and complex civil demolition and land remediation undertaking. The overall project which included the three separate contracts and extensive contract variations was awarded Best Remedial Project (>$1M) at the 2018 ALGA Annual Industry Excellence Awards.